As the weather grows colder, we’re thankful for warm theaters where we can go to spend time with friends and family! Here are a few shows playing this November in Philadelphia and the surrounding area, just in time for the holiday season. TodayTix is thrilled to announce an exciting new partnership with the Philadelphia Theatre Company and the Linda Creed Breast Cancer Foundation. Every $5 fee for Found tickets will be matched and donated by TodayTix and Philadelphia Theatre Company to the Linda Creed Breast Cancer Foundation. In the charming musical Found, Davy publishes an eclectic group of notes he has collected in a magazine and becomes an overnight sensation. The newfound success causes Davy to lose the trust of the people closest to him and he must learn to make amends. Featuring real letters from Davy Rothbart’s popular Found Magazine, this humorous exploration of the beautiful weirdness in everyone runs through December 11. 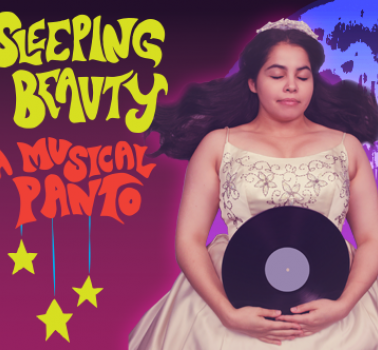 The popular People’s Light holiday tradition continues this year with a twist on the classic tale of Sleeping Beauty. In this version, a curse has befallen the kingdom of Paoli Shoals that has caused the King to ban all record players. But on the dawn of Princess Aurora’s 16 birthday, strange happenings begin to rock and roll throughout the kingdom. Come celebrate magic, music, uniqueness, and love with the whole family starting November 16. 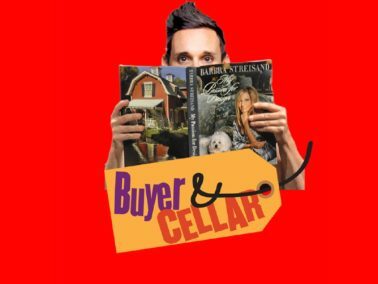 The hit comedy Buyer and Cellar stars Nick Cearley of “The Skivvies” as struggling actor in California. When he takes a job working in the Malibu basement of beloved megastar Barbra Streisand, craziness ensues when the grande dame herself comes downstairs to play. This story about the cost of fame and the cost of pursing your dreams runs until November 26. 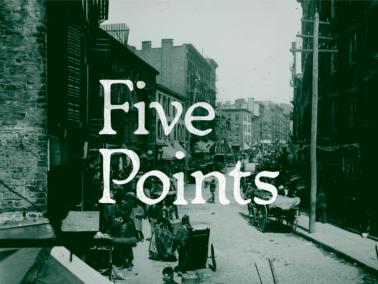 Five Points is a new musical named after a slum neighborhood in Manhattan that once served as home to poor immigrants and free black families during the dawn of the Civil War. It tells the story of a recently widowed Irish father who will do anything for his son and a young black man who yearns to break through barriers and lead a better life. 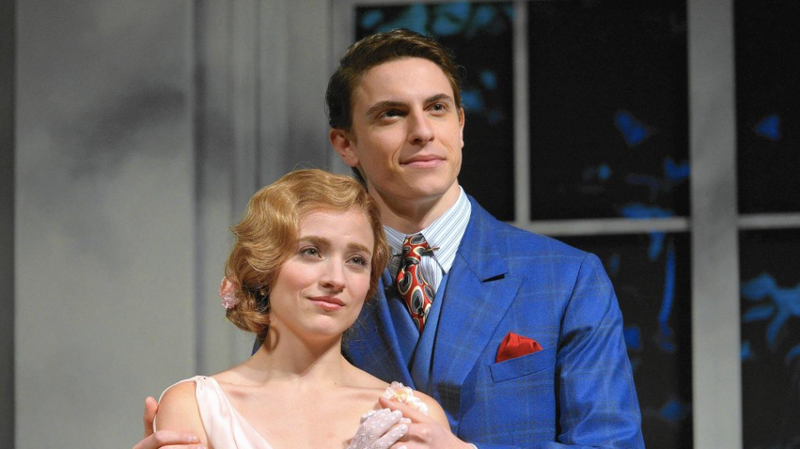 The show will play for a limited run from November 18 through the 20 at the Arden’s Studio Theatre. Come see this beloved holiday classic, set to music and live on stage! Young Ralphie just wants a Red Ryder BB gun for Christmas, even with everyone telling him he will just shoot his eye out. This show will remind you with its humor and wit that the holidays are not about what you get but who you have around you — no matter how crazy they may be. 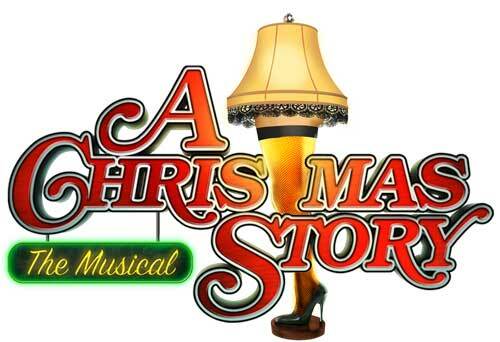 The whole family will love A Christmas Story, which is playing at the Media Theatre until January 8. Another spectacular stage adaptation has come to Philly this holiday season, this time at the esteemed Walnut Street Theatre. Follow Dorothy and her ragtag group of friends as they sing and dance down the Yellow Brick Road, dodging the Wicked Witch in pursuit of their deepest desires. 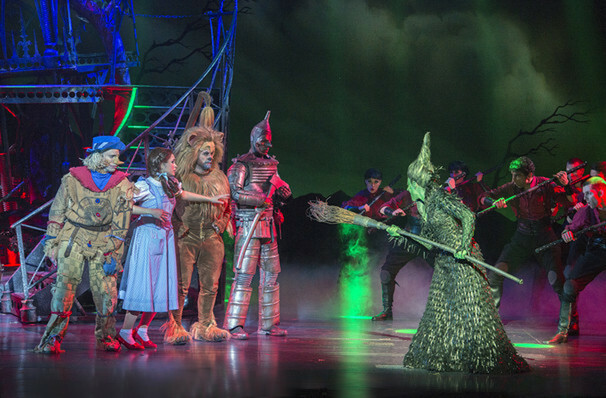 All your favorite songs, characters, and iconic moments come to life in The Wizard of Oz on the Walnut’s mainstage until January 8. This cherished, timeless musical has been remounted in an exciting way at the eccentric Eagle Theatre until December 11. Join in the love as an all-star comedic troupe performs this jubilant production in the round, singing your favorite songs and celebrating humor, loyalty, and friendship. 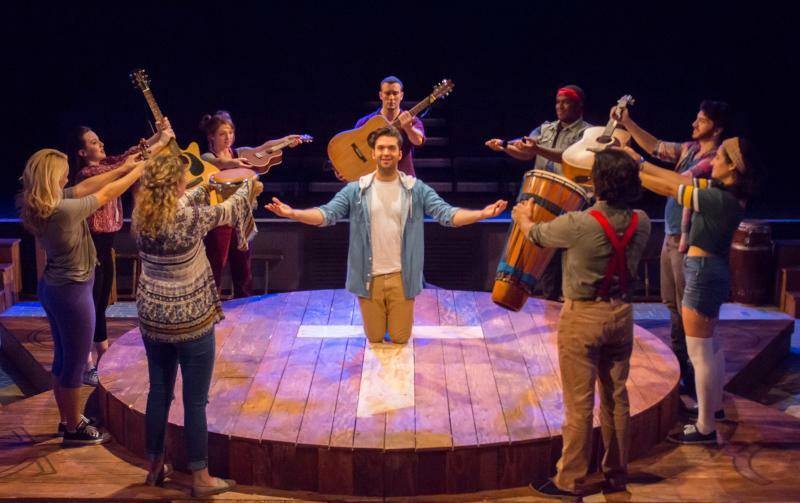 Godspell will lift your spirits as it modernizes a series of parables just in time for Christmas. From serious plays to seriously funny musicals, there’s clearly a lot of great theater to see this month. Let us know what you end up seeing on Facebook and Twitter.